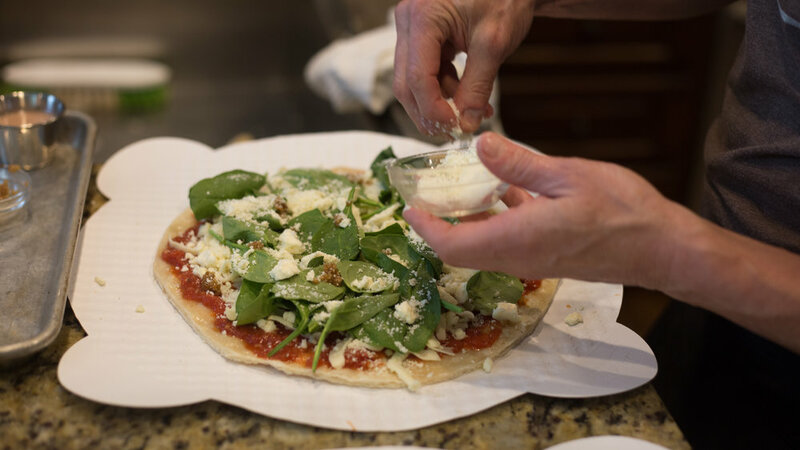 Papa Keno's Pizza Duo w/ Mixed Greens & Chocolate Chip Cookies — Happy Food Co.
UNFOLD pizza crusts and place on the provided paper baking trays. SPREAD HALF the pizza sauce on one pizza crust and the remaining pizza sauce on the other pizza crust. SPRINKLE HALF the mozzarella cheese on one pizza crust and the remaining mozzarella cheese on the other pizza crust. TOP one pizza crust with garlic, parmesan cheese, spinach, feta cheese and grape tomatoes. TOP other pizza crust with desired amount of pepperoni and salami. ADD provolone cheese and pepperoncini. BAKE pizzas on middle rack of oven for 10-13 minutes, depending on desired crispiness. 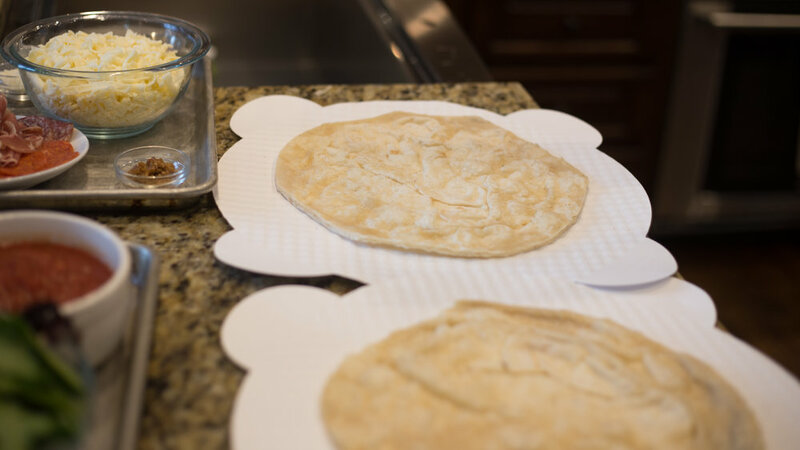 REMOVE pizzas from paper baking trays with spatula and place on cutting board. CUT pizzas into desired amount of slices. SHAKE salad dressing to mix well and toss with spring mix greens in medium bowl. SERVE pizza slices with salad on the side. PLACE chocolate chip cookies on plate and warm in microwave for 10-15 seconds.